Genseed Underground Services has been specialising in the trenchless installation of underground pipe ducts and cables for over twenty five years. We are able to offer a variety of trenchless technology based solutions including directional drilling, impact moling, pipe ramming and guided auger boring. 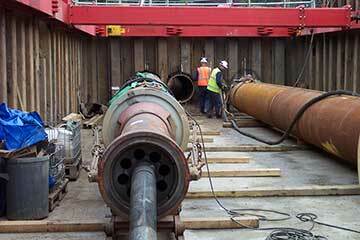 We install pipes from 15mm to 1500mm diameter and in continuous lengths up to 200m. Whether it’s a new water or gas service to your house, a road, motorway or rail track crossing Genseed Underground Services has the solution. For the installation of pipes and ducts (usually made of polyethylene). As the name suggests, it is possible to steer the bore underground. For the installation of either clay jacking pipes or steel tube where a high degree of accuracy is required or access is limited . 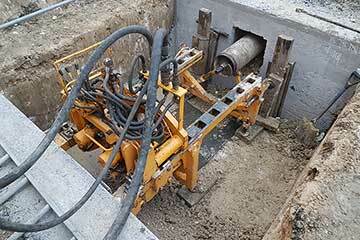 For the installation of services of 15mm to 150mm diameter and up to 20m in length. For the installation of steel tubes which may be used either as a duct for another service or as the carrier pipe itself. 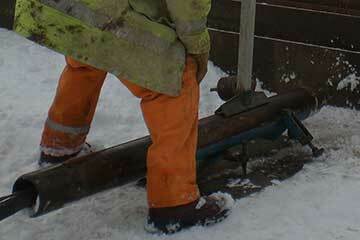 We provide expert underground drilling services to our clients, big and small, across the UK. We are one of the UK's longest established directional drilling companies offering trenchless technology throughout England, Scotland, Wales & Northern Ireland. 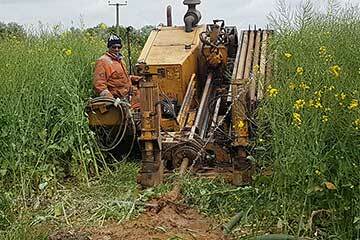 Genseed Underground Services Limited, Sandfords Farm, Wickham Bishops Road, Hatfield Peverel, Chelmsford, Essex, CM3 2JL. UK. Copyright ©2019 Genseed Underground Services Limited. All Rights Reserved. Registered in England and Wales No: 3531201. VAT Registration No: GB 711308282. Registered Office: The Old Grange, Warren Estate, Lordship Rd, Writtle, Chelmsford, Essex, CM1 3WT.